Wishpond's bonus entry contest provides the following social media buttons as options for bonus entry: Email, Instagram follow, Pinterest Follow, Youtube Subscribe, Twitter Follow, Twitter Tweet, and Refer-a-Friend. Facebook like, shares, follows are not available, due to Facebook's Like-gating policy. Please refer to this link from Facebook for more information. First of all, you need the code for the buttons that you are going to use. The codes must be in HTML/CSS format, which allows you to make customization. 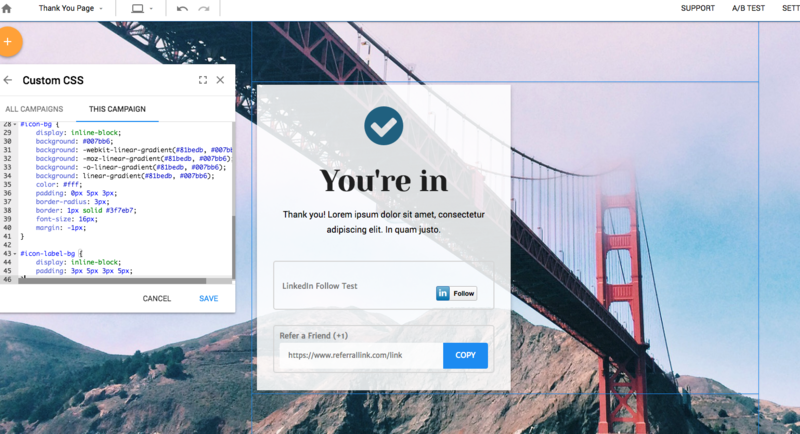 The following is a sample code from CodePen for a LinkedIn Follow button. 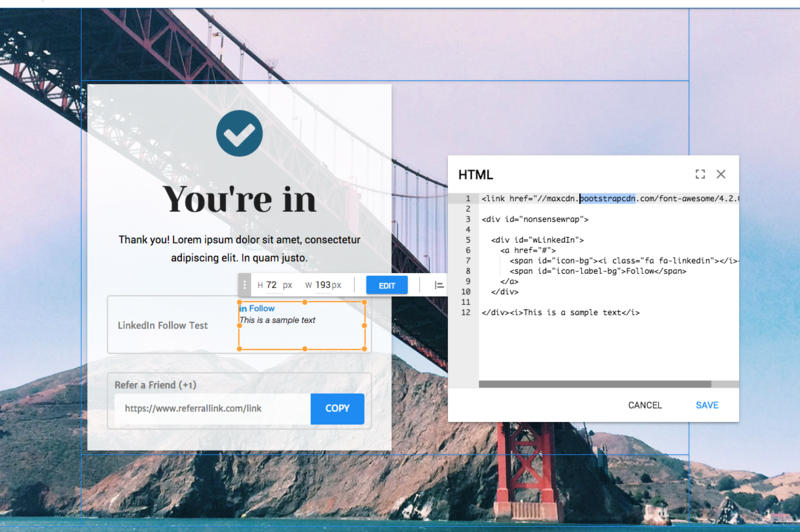 Copy and paste the html of the button to the editor. 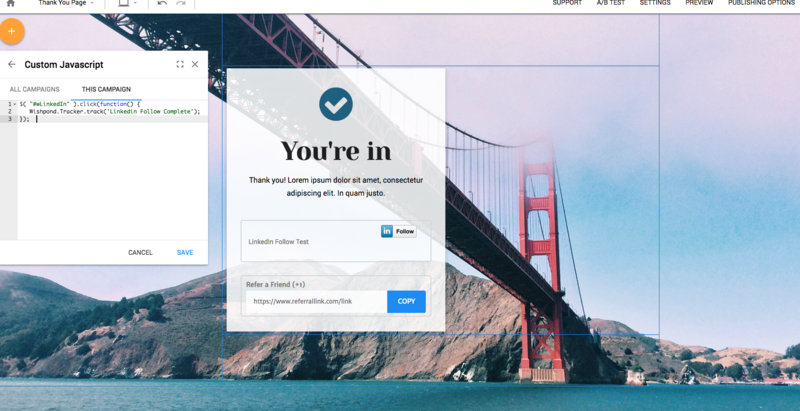 Customize the href part of the html code to the url of your LinkedIn Page. Then add CSS code to the Custom CSS panel on the css editor. The selector needs to be changed according to the div id of your code (It's not going to be called wLinkedIn on yours). This code will be added to Custom JS section of your editor. When you click on the button on the live page, it will immediately create a custom event called "LinkedIn Follow Complete." Finally, you can use a workflow to set how many bonus points are awarded. When you are done, Launch your workflow.